"I paint my pictures with all the considerations which are natural to my intelligence, and according as my intelligence understands them." 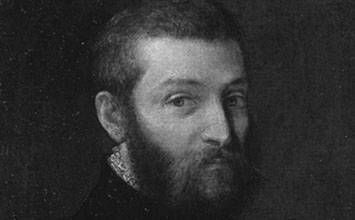 Regarded as something of a child prodigy, Veronese matured into one of the most famous masters of the late Renaissance. The artist belongs to the Venetian School and, though he post-dates the period by a generation, he is often grouped with the glorious triumvirate of Titian, Tintoretto and Giorgione. Veronese came into his own however as a superb colorist and painter of the elegant and grandiose - in both theme and scale - of narratives that conveyed their meanings through rich and fluid color schemes. The figures in his works are often described as having the subtle foreshortening of Correggio and Michelangelo's heroism and Veronese typically placed them against a painted architectural "stage" that was redolent of a city (Venice) that was (and still is) thought to resemble a magnificent living arena in its own right. Regardless of the often sacred nature of his subject-matter - Veronese was himself a devout Catholic - his paintings would often exude the worldly, playful atmosphere of 16th-century Venice. John Ruskin once wrote that he learned from Veronese's pictures that "to be a first-rate painter, you mustn't be pious - but rather a little wicked and entirely a man of the world." Ruskin was referring to the gayety in Veronese's paintings which did not always meet with the approval of the ruling Church bodies. Veronese was however a man of principled resilience. This was demonstrated in his defence of artistic freedoms when faced with condemnation from an executive Holy Office committee. Veronese is considered one of the Master colorists, sharing the company of the likes of Titian, Rubens, and Rembrandt. He is also typically aligned with the Mannerists, the name given to successors of Raphael and Michelangelo who were less naturalistic - more mannered - than the great Masters of the High Renaissance. The Mannerists produced stylistic compositions which showcased their preference for sophisticated elegance. Their style features gestural poses, unusual effects of lighting and perspective, and vivid colorization. However, Veronese was admired by many for his ability to bring a little more élan to his paintings which he achieved through his fluid harmony of tones and in his transitional rendering of chiaroscuro. Veronese is celebrated for his ability to produce clear narratives through complex, intelligent, compositions that brim with brio and painterly effects. As the 17th-century Baroque painter Marco Boschini observed: Veronese "mixed gold with pearls, rubies, emeralds and sapphires of the best quality, and the purest and most perfect diamonds [and] to flavor it he scattered the flowers most gentle that come from the East with all of the most beautiful things that Nature can make with its colors." In that respect his painting can be seen to reflect the cosmopolitan gala mood of mid-to-late 16th century Venice. Veronese was a Counter (Protestant) Reformation painter. He was committed to the promotion of Catholic culture and the need to "restage" Christian parables was paramount to his mission. His sumptuous narratives, often tinged with an air of mischief, were typically set within dramatic architectural settings and horizontal picture-planes. Veronese sought to replicate a sense of "performance" in his tableaus and his attraction to the theater would also help explain his preference for luxurious costume dramas. The writer Henry James spoke indeed of Veronese's "glorious garments" that "rustle in the air of the sea" while adding that the "sun-lighted faces" of his gayly dressed characters wore "the very complexion of Venice." When called on to do so, Veronese would adapt his style to promote his patron's vanity. Though they are considerably fewer in number than his theatrical paintings, Veronese produced some notable portraits of aristocratic figures. Building on the conventions of classical portraiture, Veronese would use splendid costumes and props in an attempt to build the most composite picture of his sitters. Thus, his portraits would typically feature a greater level of psychological realism which was further emphasized in the delicacy of chiaroscuro. 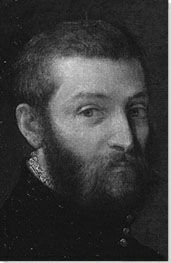 The youngest of five siblings, Paolo Caliari, nicknamed Veronese after his birthplace, was born in 1528 in the Italian city of Verona, then a mainland province of the Republic of Venice. His father, Gabriele, was a stonecutter; his mother, Catherina, the illegitimate daughter of a nobleman called Antonio Caliari. He was born moreover in Verona's artists' quarter in the district of San Paolo, which may well have accounted for his parents' choice of Christian name. Paolo initially apprenticed under his father which meant he went for a time by his professional name too: Paolo Spezapreda ("Paolo the Stonecutter"). However, while working with his father, Paolo's precocious talent for drawing became apparent and, aged 14, his apprenticeship was transferred to the studio of a local master named Antonio Bandile (he would later marry Bandile's daughter). It is suggested in some unconfirmed accounts that he may have studied simultaneously in the workshops of Giovanni Francesco Caroto, from whom, he may have inherited his fascination with the application of color. 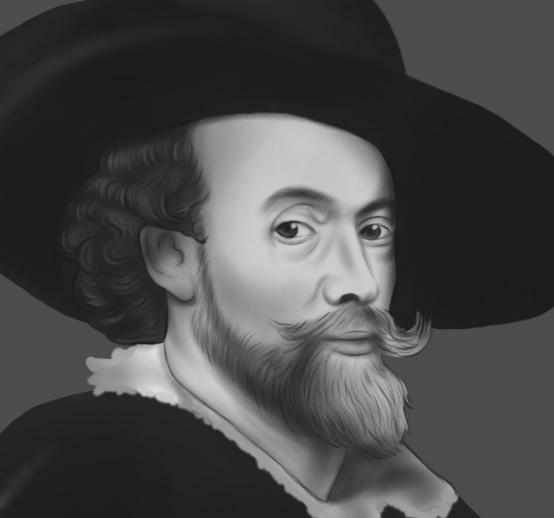 Interactive chart with Paolo Veronese's main influences, and the people and ideas that the artist influenced in turn. First published on 20 Nov 2018. Updated and modified regularly.